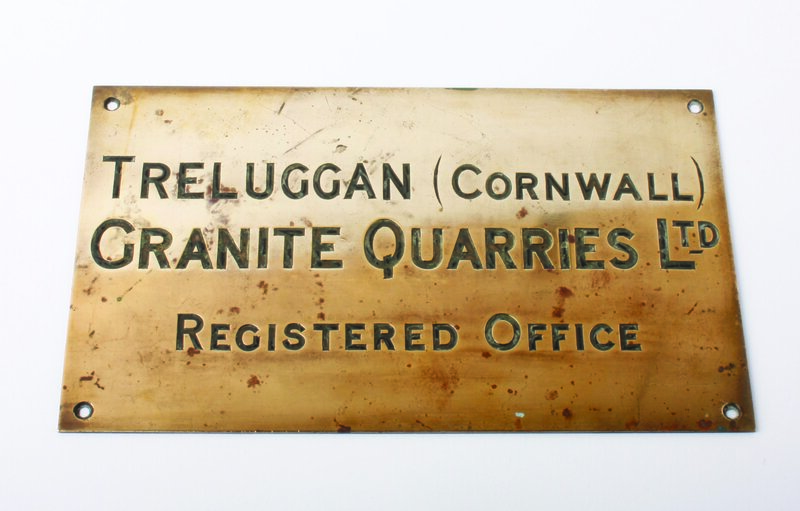 During the Second World War, Cornwall became home to hundreds of men who were not born and bred here. These unexpected guests arrived in the form of prisoners of war, most prominently Germans and Italians, but a large number of different nationalities were based in camps all over Cornwall. 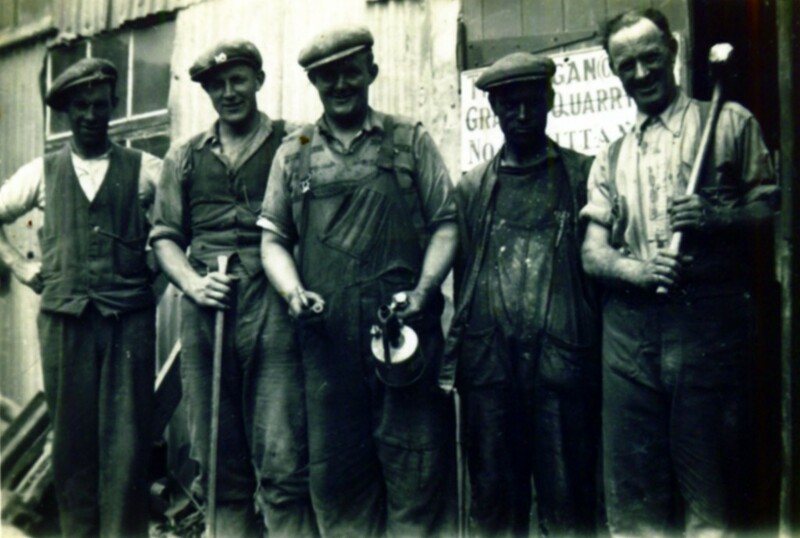 Geoffrey Richard May (top left) with the PoWs who worked under his management at the Treluggan Quarry. Perhaps one of the most well known PoWs linked to Cornwall was Rudi Mock, a German soldier who was brought over to Britain following capture and who volunteered to stay in 1948 following the end of the war. 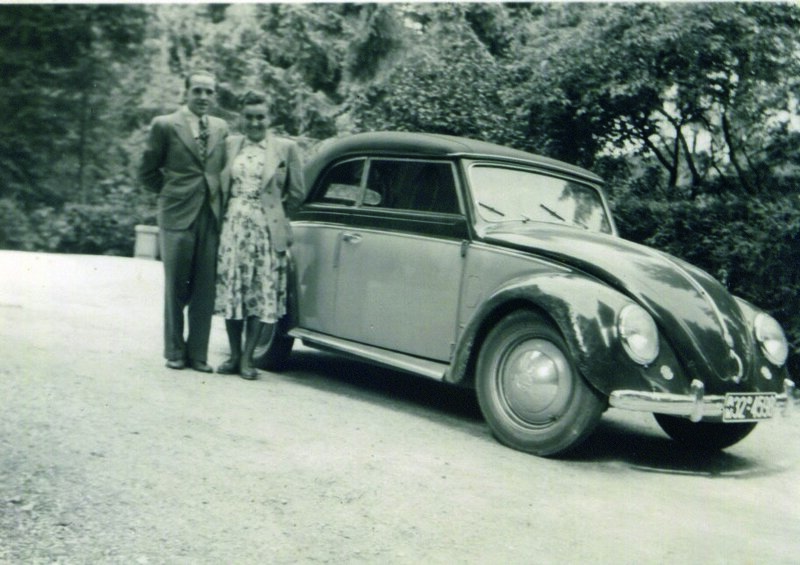 He went on to marry a Land-Army girl in 1951 and moved to Crowan in West Cornwall where he began as a farm worker and gradually started his own business growing and selling daffodil flowers and bulbs and eggs. Over time his business thrived and he became a self-made millionaire. Of the 400,000 PoWs were held in prison camps across Britain there are records of five main camps in Cornwall. The White Cross Camp near St Columb Major, Pennygillam Farm Camp and Scarnecross Camp in Launceston, Consols Mine Camp in Tywardreath, Par and Bowithick camp on Bodmin Moor. Considering the enormity of some of these camps, often holding hundreds if not thousands of prisoners and the length of time that they were present, it is strange that there are not more records about these camps. There were in fact a large number in Cornwall, but it seems many were not recorded. One such camp was the PoW camp at Bake, Trerulefoot in Saltash, which is now the site of Bonds Timber Sawmill. This camp although small in comparison to its counterparts in Launceston, housed many PoWs including a large number of Germans. The site was laid out with rows of large Nissan huts (with just one hut still standing today) and inside were a number of wooden ‘bunk beds’, as was typical of the living quarters within the camps. These men although ‘prisoners’ were treated extremely well and played a vital part in war torn Cornwall, from working in fields to repairing bomb damaged homes, yet despite this it is almost forgotten that Cornwall housed PoWs at all. A short description recorded in ‘A Pictorial view of East Cornwall: Parish of St Germans’ by Kevin Reilly and Jo Lanyon states that Bake House (situated next to the camp and known as Bake Manor now) was used as ‘an Officers Mess by the U.S Army and the troops were stationed in the fields adjacent to the house looking towards Hessenford, and that the camp was used as a Displaced Persons Camp’, which we can only assume is a reference to the PoW camp. The PoW camp at Bake and the site of the local quarry at Treluggan (now the site of Boating World) became the focal points for a tale of wartime friendship forged in the most unlikely of circumstances. Men working in Treluggan Quarry, Geoffrey May, site manager is sanding in the bucket of the digger. Local man Geoffrey Richard May was a member of the Home Guard and ran Treluggan Quarry. As with many men in professions that aided the war effort he was not allowed to go to war but instead was to continue overseeing the production of granite stone. He worked as part of a large team, and the quarry worked continuously to provide stone, often crushed, which was loaded on to barges and then taken down river to a dispersal site mostly Plymouth dockyard for various jobs including the building of Mulberry Harbour. As the demand for stone increased, Geoffrey searched locally for more men to help work the quarry. This in turn led him to Bake and the site of the PoW camp. It was not uncommon for many of the well mannered and anti-Nazi PoWs to find work locally and it was for this purpose that Geoffrey made a visit to the site. 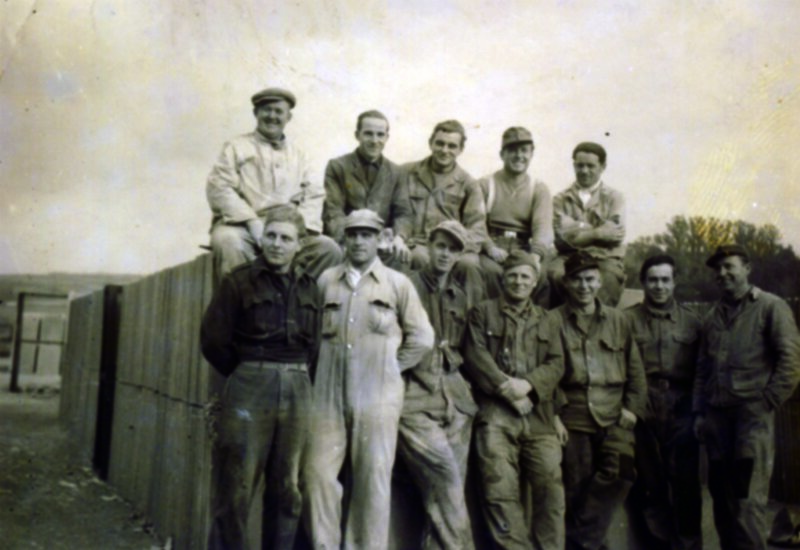 The exact number of German PoWs who worked at the quarry is unknown but it is certain that at least eleven men were employed between the years of 1940/41 until 1945/46. The PoWs worked alongside local men, many of whom lived in Landrake and were soon accepted as part of the community, often being allowed to wonder down to the local village of Tideford. Many were paid in cigarettes or a small wage, which seemed to be a common practice in camps across Britain. 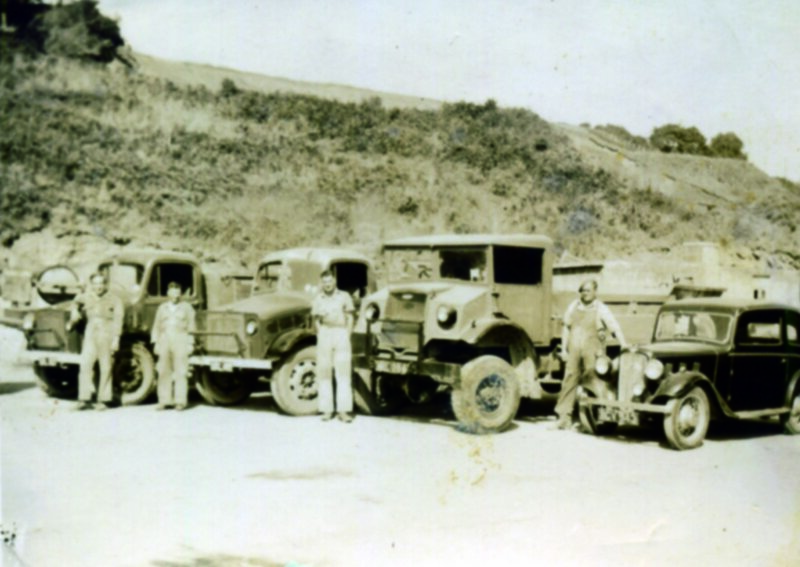 At one time a small number of Americans who were based at Lanjore at the top of St Germans worked at the quarry driving the lorries, but it was well known that they were wreckless. Steven Collins recalls his grandfather, Geoffrey, telling him about an incident when two Americans got stuck up the quarry. 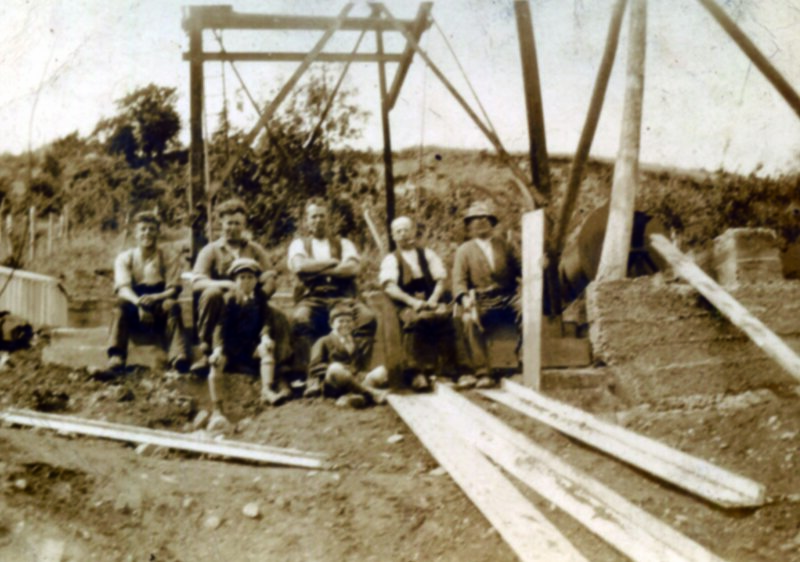 Some of the men and young lads taking a break at Treluggan quarry. A number of the lorries also ended up wrecked after they were used for races and more often than not crashed as a result. The Americans were also known for testing tanks in the River Tiddy which is a main tributary of the River Lynher and flows south east past Tideford village. Some remains have since been found in the river and Geoffrey’s daughter Pauline Collins recalls memories of the tanks when she was a young girl. ‘On a Sunday afternoon many of the local young people would go down to the river and watch the tanks as they charged through the water.’ She goes on to explain that she was just five or six years old when the PoWs arrived at Bake and her and her twin sister Delphine have vivid memories of days out at the seaside town of Seaton, where they would find tins, hats and bandages washed up from recent ship wrecks. Pauline tells me that; ‘on the way back from the beach we would stop by the camp and hand our leftover sandwiches through the hedge to the PoWs that would often be hanging around there smoking.’ The food available to PoWs generally consisted of bread and cheese and so their sandwiches were always gratefully received. The PoWs who found themselves detained in the camp at Bake were mostly conscripts who were captured locally. One such man was spotted crawling through a hedge and was shot through the foot, he was later found to be a left wing Nazi along with one other prisoner and as such was sent to one of the Launceston camps which had a lot more security. Among the other men at the camp were a number of talented tradesmen, including a piano tuner, carpenter and jeweller. Over time these valued and gradually trusted men became part of Geoffrey’s extended family so to speak and Pauline has fond memories of the PoWs from the quarry joining them for evening meals. However perhaps the most poignant and heart-warming moment came as the winter months drew in and the Christmas lights went up. For many, Christmas is a time for giving and for the PoWs there was no exception. In exchange for a warm invite to Christmas dinner and festive celebrations with Geoffrey and his family, the PoWs, some of whom Pauline remembers as being called Walter, Karl Vinoff, Kurt Kichastand and Hans, would sing along to her mother Muriel playing the piano and put their skills to work making the family Christmas gifts. These manifested in the form of melted down spoons turned in to signet rings, handbags made from stripped and dyed bark and beautifully crafted wooden heart photo frames. 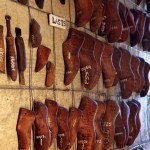 Of which the latter are still in existence today, and perfectly preserved by Pauline and her sister. As the years passed and the war ended all but two of the PoWs returned to Germany to continue their lives. Geoffrey remained in touch with many of the men and in particular Karl Vinoff, the piano tuner. In later years Geoffrey and some of the other men from Treluggan Quarry were invited out to Germany for a reunion. Many of the men went but Geoffrey, suffering from ill health, unfortunately did not attend. 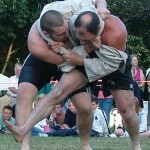 A decision his grandson Steven tells me he later regretted. 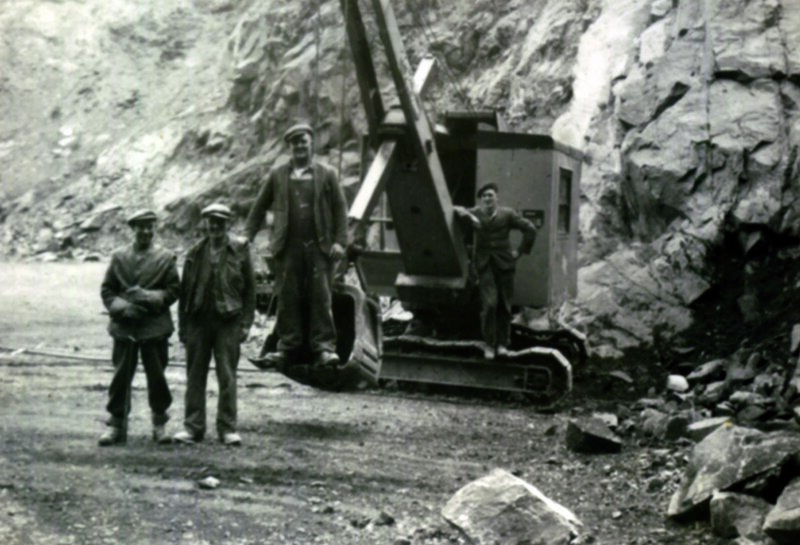 Quarry workers standing next to the trucks used to transport the stone. Time passed and as old age took hold a surprise visitor arrived at the house of Geoffrey, his wife Muriel and daughters Pauline and Delphine. A young man walked towards the house and although Geoffrey had sadly passed away, his family recognized him and it was soon revealed that this was Karl Vinoff’s grandson. He explained that he wanted to see where his grandfather spent his time as a PoW, and the place that he held such fond memories for. 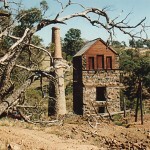 He was given a tour of the quarry and old camp and was welcomed by the family, rekindling a connection that had long since dwindled. In a time of bloodshed, heartache and despair, I think it’s important for us to remember the smallest beacons of hope and humanity that flowed below the surface of wartime Cornwall. This snapshot of kindness and acceptance allows us to remember that in a war of thousands, they were all just ordinary men, wanting to make their families proud and told to fight in a war that many, Germans included, wanted no part in. ‘The Unexpected Guests: WW2 Prisoners of War in Cornwall’ is taken from our December/January 2013, Vol.2 Issue 21. 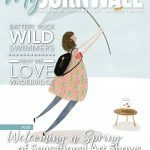 Subscribe to myCornwall magazine for more stories like this one.